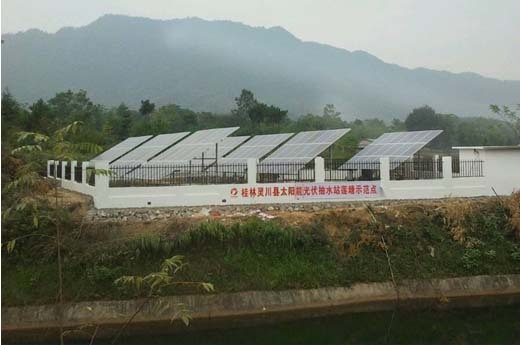 Project Introduction: In October, 2012, Shenzhen Solartech Renewable Energy built the solar irrigation site in Lingchuan County, Guilin City, Guangxi. The solar irrigation site adopted Solartech system PS18500, providing irrigation for 135 acres of farmland by solar energy. 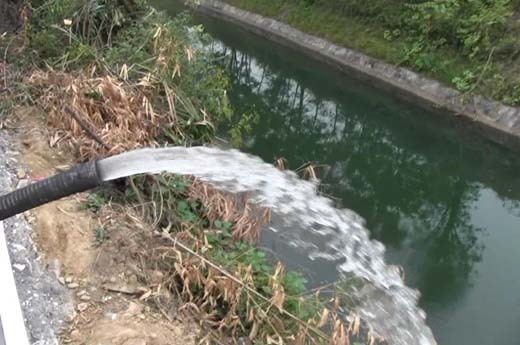 The successful completion of the solar irrigation site brought hopes for local people. It has laid a solid foundation of the agriculture development, which will help to enhance the value of agricultural output. 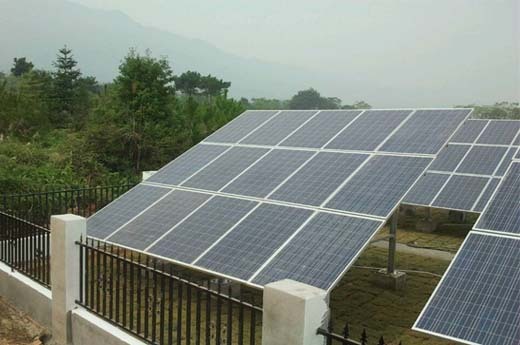 Solution: Solartech PS18500 system was applied for this project, the system consists of solar pumping inverter, AC solar water pump and solar arrays. 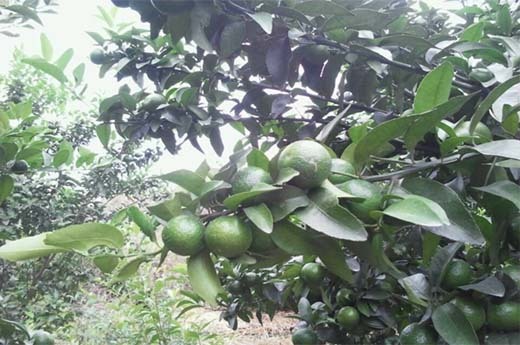 The system could supply water 400m3 daily at 20-38m water head, providing sufficient irrigation for tangerine, rice and vegetables around it. Economic Benefits: The Solartech PS18500 system could generate 65700 kWh of electricity annually; 617 tons of coal saving in its 25-year service life; 272 tons of CO2, 12.2 tons of SO2, 9.3 tons of smoke and 161 tons of ash reductions in its 25-year service life.